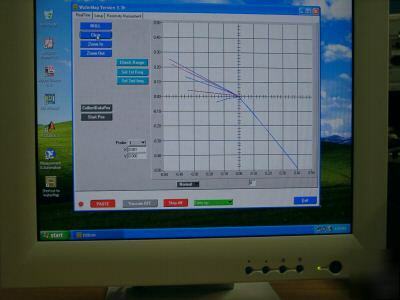 This eddy current Windows XP operating system is perfect for lab. , research and development, automating inspection. The real time impedance display also has trigger gate to drive either alarm or sprayer. It offers wide range of operating frequency from 100 Hz to 10 Mhz. Friendly operating software is written in Windows format.